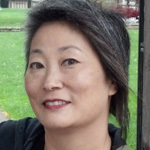 Lisa Nakamura is a professor in the Department of American Cultures and the Department of Screen Arts and Cultures at the University of Michigan, Ann Arbor. She has been writing about digital media since 1994. Nakamura formerly served as the Director of the Asian American Studies Program, Professor in the Institute of Communication Research and Media Studies Program and Professor of Asian American Studies at the University of Illinois at Urbana Champaign. Her main areas of contribution are in interrogating the racial/ethnic assumptions embedded in the representations of race in digital media, particularly within gaming cultures. She is the author of “Digitizing Race: Visual Cultures of the Internet”, “Cybertypes: Race, Ethnicity, and Identify on the Internet,” and is co-editor of “Race in Cyberspace.” She has also published articles in “Critical Studies in Media Communication,” “PMLA,” “Cinema Journal,” “The Women’s Review of Books,” Camera Obscura,” and the Iowa Journal of Cultural Studies.” Currently Nakamura is working on a new monograph on Massively Multiplayer Online Role playing games, the transnational racialized labor, and avatarial capital in a “postracial” world. Currently she teaches courses on Asian Americans and media as well as advanced courses on new media criticism, history, and theory. Nakamura’s book, “Digitizing Race: Visual Cultures of the Internet,” discusses the visual cultures of the Internet and the type of information we seek online. She is interested in the emergence and immense popularity of racially themed websites that are created by for and about people of color. She is interested in what she terms the “racio-visual logic of the internet.” Jessie Daniels of Hunter College, City University of New Yorkargues that the book’s central insight is that the Internet is a “visual technology, a protocol for seeing that is interfaced and networked in ways that produce a particular set of racial formations.” From Facebook to YouTube to avatars to video games, visual representations online incorporate the embodied, gendered, and racialized self online. Doris Witt of the University of Iowa reviews The book, “Race in Cyberspace” edited by Beth E. Kolko, Lisa Nakamura, and Gilbert B. Rodman. In an effort to open up a “space where a larger, more extended, and more inclusive conversation about race and cyberspace can take place,” Witt discusses how the book discusses the processes through which race is performed online by privileged consumers of cyberspace rather than the way in which cyberspace has been produced by and has helped reproduce a racialized global division of labor. As reviewed by Samantha Blackmon from Purdue University, Nakamura’s third book, “Cybertypes: Race, Ethnicity, and Identity on the Internet,” aims to interrogate how the internet shapes and reshapes our perceptions of race, ethnicity, and identity. Blackmon states that Nakamura names the images of racial identity online that shape the specific perceptions of cybertypes, and how these cybertypes are often determined and defined by the racial and ethnic stereotypes that are already established in our current society.